“There are four rules that can’t be broken” says Dr Stephen Bourke, briefing volunteers (including me) for the 2001 season of the Sydney University dig at Pella in Jordan. I’m uncharacteristically willing to hand over $2000 – and my unskilled labour – in exchange for the excitement, boredom and hard work involved in peeling back the layers of an archaeological site. People have lived in Pella without a break for 8000 years. Traces of this history are everywhere. Centuries reel by. Neolithic farmers grow crops, care for animals and build houses. Bronze Age workers construct a vast temple-fortress. Traders offer inlaid ivory boxes, imported pottery, alabaster perfume bottles, objects overlaid with gold. Egyptians are eager to buy timber from the forests to make chariot spokes. 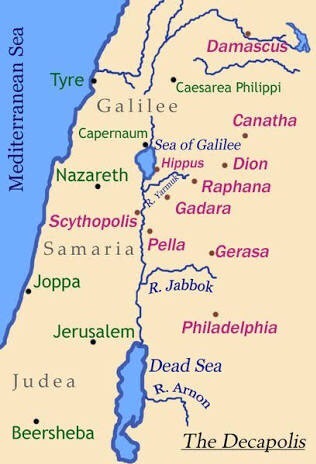 The city becomes part of the Decapolis, on the frontier of the Roman Empire. Under Byzantine rule businesses do a roaring trade, churches are built, the population swells. Then plague, the silting of the wadi, and an Ottoman victory that puts it in Muslim hands: it becomes a place to stop on the route to Mecca. The Ottomans lose interest in it, except as a source of taxes, and earthquakes wreak havoc. After World War 1 it becomes part of the Kingdom of Jordan. It is bombarded by the Israelis in the Six Days War. In 1979, Sydney University joins teams already excavating there, and in 2001 I volunteer for two weeks as more work is done uncovering the temple-fortress. Some of the significant finds so far: column drums, a 10th century BC door; 5 million seeds in a storeroom; a life-sized basalt head; cylinder seals; gold hoop earrings; lapis lazuli; Mycenaean ceramics; tiny faience tiles; early basalt vessels; pottery pomegranates; a lion libation pourer; the earliest Aramaic inscription yet found; seven cult stands; and a cow box for burning incense. 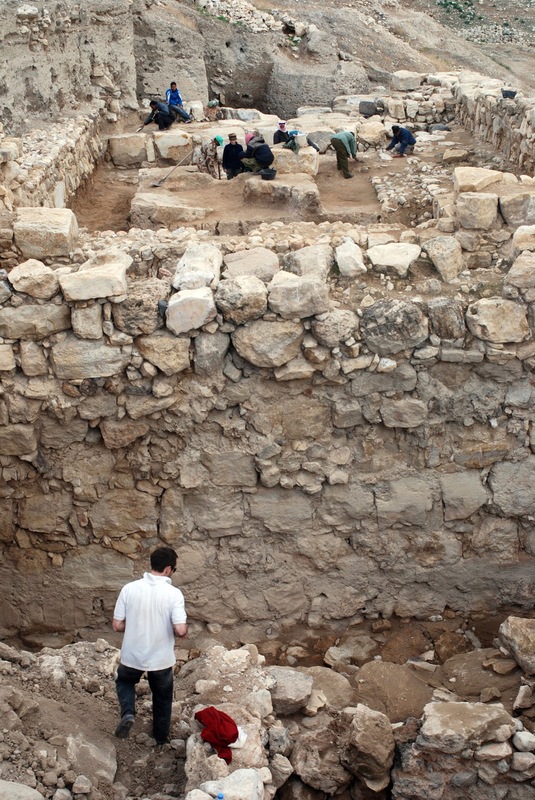 This season the plan is to dig the temple “madly” in an attempt to find out how it was built. If you want to know more about Pella and Sydney University’s involvement:. This is background to the next series of Postcards from the past.